Some years ago J. Kovalevsky wrote an interesting article on the scientific results of the Hipparcos Mission, which was published in “Memorie della Società Astronomica Italiana”, Volume 64 – No. 1-1993, p. 28. There was a particularly striking fact emerging from the observation work carried out by the satellite regarding the distribution of stars around the Sun, especially concerning their distance, which measures for the majority of them more than 200 parsecs. 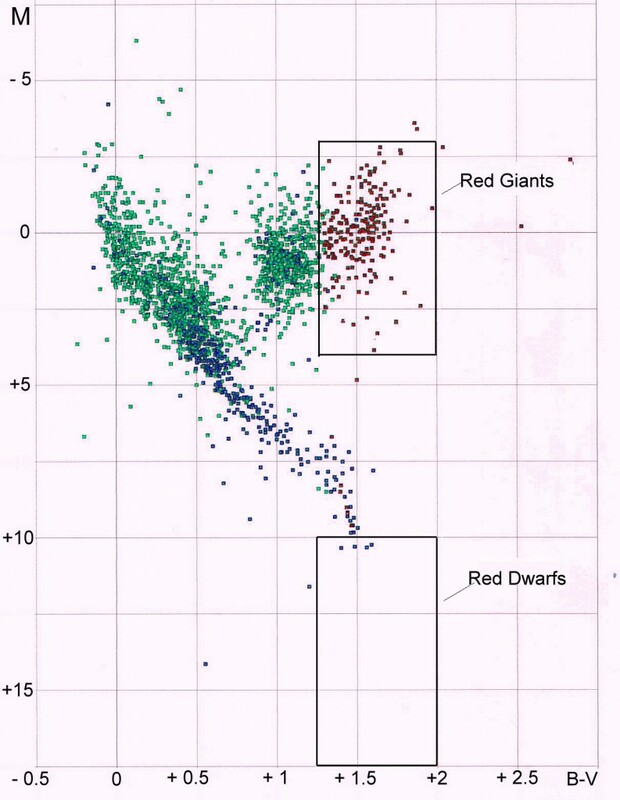 It is interesting to point out that based on “stellar statistics” in astrophysics, the stars of the main sequence, the “Dwarfs”, are predicated to be much more numerous than the “Giants” and “Supergiants”. The “Dwarfs” number about 50 billion, while the “Giants” are about one million, with an approximate ratio of 50,000 to 1. That ratio is noticeably lowered by the selection effect when observation work is done through a telescope, both from the ground and in orbit. 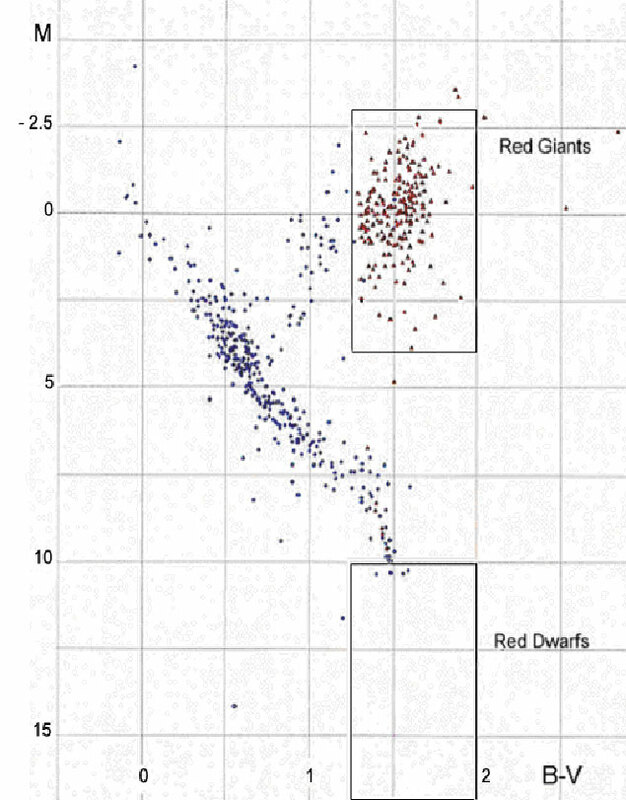 This is caused by the fact that the Giants are visible from great distances, while the Dwarfs, due to their lower intrinsic luminosity, are less easily perceived. 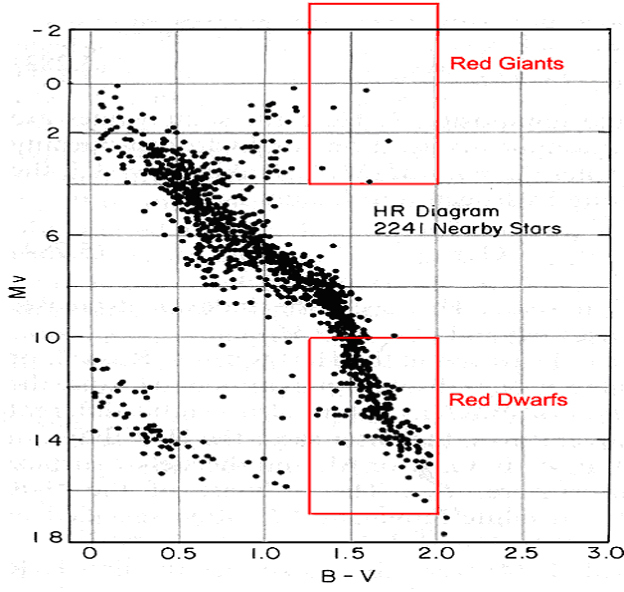 All the above having been said, the purpose of this study is to find the true approximate ratio between “Dwarfs” and “Giants” among the red stars examined by the Hipparcos Mission. 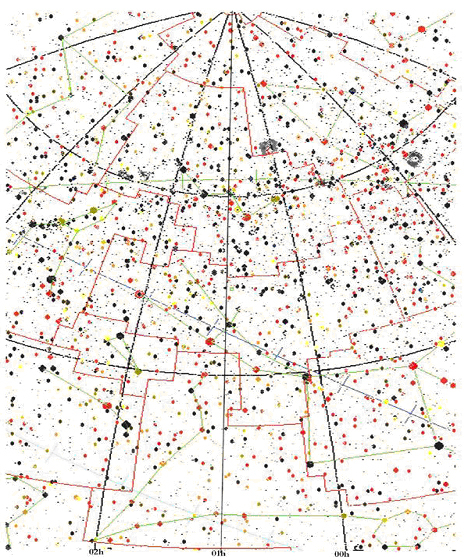 To start with, a careful choice was made of a fairly wide zone of the vault of heaven including about 2400 stars all provided with a Hipparcos Catalogue number and no other stars. This zone is comprised between 00h and 01h Right Ascension and between 0° and +90° Declination. The zone is represented in Figure 1. Figure 2 shows the diagram thus obtained. In the following Figure3 the same diagram was repeated drawing only the blue and the red stars. The stars with large proper motion (the blue ones) plot the main sequence, while the other stars (the red ones) analyzed by the Hipparcos Mission turn out to be nearly all “Giants”. These diagrams (Fig.2 and Fig.3) offer a clear, unequivocal picture of the number and distribution of the celestial bodies in the space examined according to the Hipparcos Catalogue. 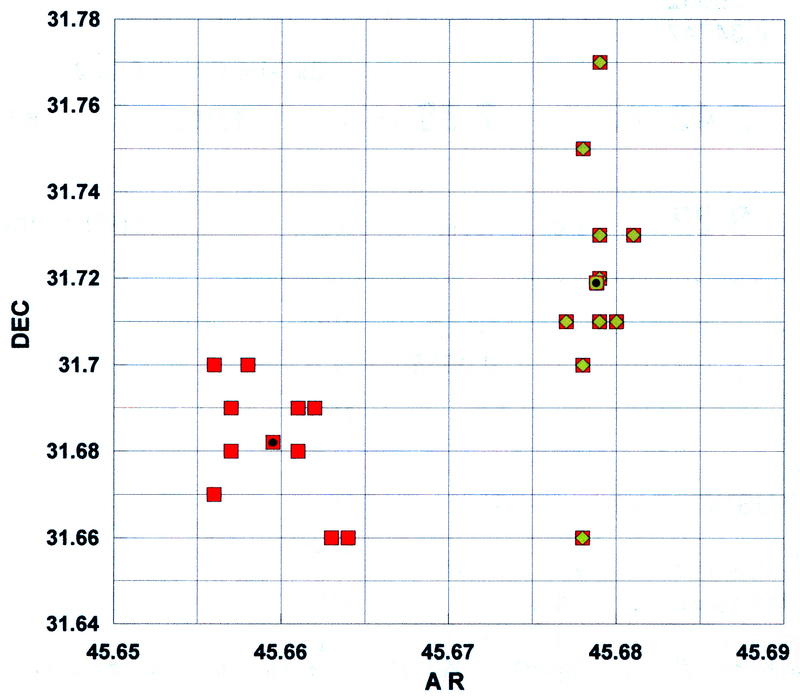 By comparing Fig.3 with Fig.4, the latter showing an H-R diagram with about the same number of stars (see Kenneth R. Lang, Astrophysical Formulae, Volume II p.88), you can notice a clear discrepancy. Some questions arise spontaneously after a first consideration of what emerges from the present investigation. How comes that over three hundred red stars contained in the sky zone examined turn out to be all “Giants” and not even one is a “Dwarf”? It does not seem credible that in so small a sky zone (1/48th of the heaven vault) there could be such a concentration of Red Giants. Since the Hipparcos astrometric measurements had been meticulously checked, it would be of great interest to have an explanation to the questions that instinctively arise from this discrepancy. How can all that be explained? A clear answer is to be hoped for. My guess is that probably the researchers’ computer program did not specify that, when calculating the average of all parallax angles referring to each star, any negative values of parallax angles had to be considered only in their absolute value. As a matter of fact, about half the average values of the parallax angles in the Tycho Catalogue turn out to be negative! 1. The parallax angle, which is one of the angles of a triangle, is positive by definition. When we average a number of parallax angles, it is even more necessary to keep this in mind or the average value containing negative addends will almost always be low, at times positive and at times negative. This may happen even when all the absolute values of the single parallax angles of a star are much higher than the average thus calculated. 2. The closer to zero the parallax angle of a star turns out to be, the farther away that star is. 3. The Hipparcos Catalogue stars, about 118,000 stars, are a choice from the over 2,000,000 stars of the Tycho Catalogue. 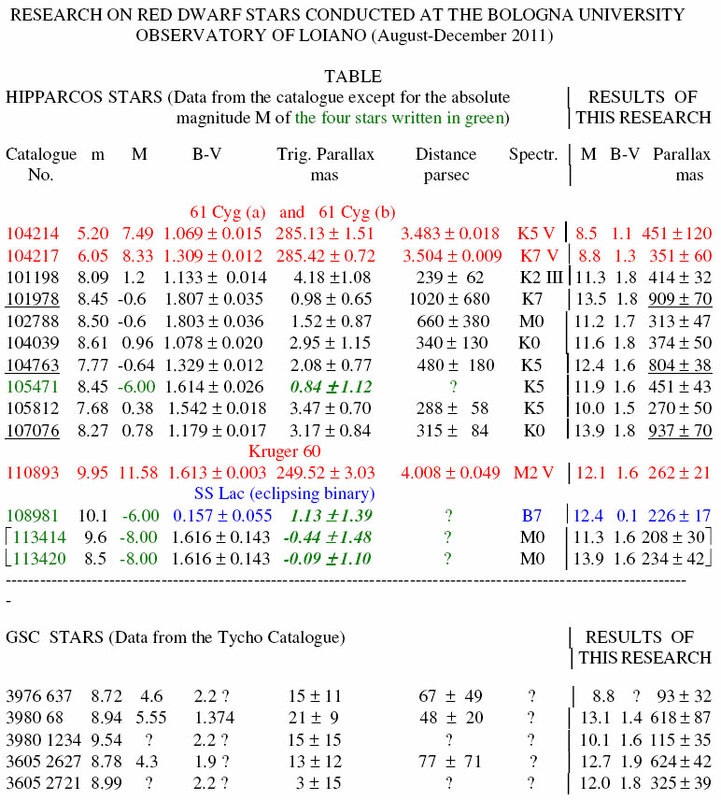 As regards the data concerning the same stars, the main difference between the two catalogues lies in the measurement errors, which in the Hipparcos Catalogue are smaller by about fifty times. I cannot understand how it was possible to have such small errors (i. e. uncertainties of the order of one milliarcsecond) when the typical error of a telescope with a diameter of 20÷25 cm is comprised between 20 and 80 milliarcseconds (see the Tycho Catalogue). When averaging many parallax angles of a star, the measurement error of the average (root-mean-square error) cannot be smaller than the average of the errors (absolute values) of the single angles. Regarding my research, to further support the reductio ad absurdum on the lack of reliability of the Hipparcos Catalogue, I provided more evidence by following the same procedure three more times. The sky zones studied were, with Dec from 0° to 90°, respectively RA from h6 to h7; RA from h12 to h13; and RA from h18 to h19. The result was similar to what is shown in the previous pages. with the purpose of finding an experimental answer to the questions previously posed. From 2008 to 2010 I carried out research work on a large number of red stars with a (B-V) colour index comprised between 1.0 and 2.0 and the majority of the stars examined had turned out to be very close to the Sun. That was the result of parallax measurements performed on the basis of pictures taken from Observatory 610 at Pianoro (Bologna, Italy). On the contrary, the distances of the same stars reported in the Tycho and Hipparcos Catalogues are on average longer respectively by one and by two orders of magnitude. I chose 20 stars that would be visible in the period August-December 2011 from about 200 stars which I had observed over a span of two years. The sky zone concerned went from h 20:30 to h 21:00 Right Ascension and from +21° to +60° Declination. the colour green shows the stars with a proper motion > 0.100 arcseconds. The last ones constitute the main sequence and only few of them are Giants or Supergiants while the other stars examined by the satellite turn out to be nearly all “Giants” or “Supergiants”. The ‘colour’ black shows the stars that later would be studied at Loiano. 1. If we leave out the stars (green in Figure 5) having proper motions greater than 0.100 arcseconds (most of which had been measured with great precision from the ground before the Hipparcos Mission), we can notice that the remaining stars are generally at distances greater than 200 parsecs, i.e. they are Giants (in some cases even Supergiants), like Prof. Kovalevsky had pointed out. 2. 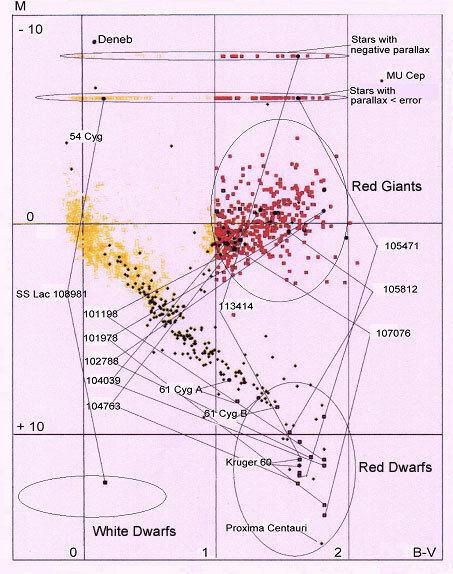 The stars (red in Figure 5) with a (B-V) colour index >1 have absolute magnitude variable from -4 to +3 (Red Giants) and there are no Red Dwarfs with absolute magnitude between +5 and +15. 3. In the Hipparcos Catalogue the total number of the stars examined in the sky zone observed is 2,668 and the absolute magnitude of the stars with a negative parallax angle or with an angle narrower than the measurement error is not reported. Among them there are 724 red stars with (B-V) >1, in their turn subdivided into 66 with parallaxes smaller than the measurement error, 32 with negative parallaxes and the rest with positive parallaxes but with values lower than about 10 mas. 4. 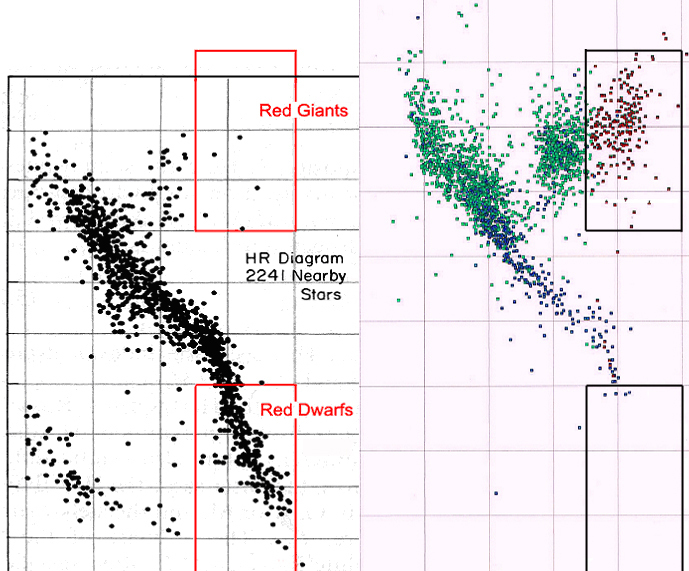 The fact that 724 Red Giants and Red Supergiants are present but there are no Red Dwarfs shows an enormously disproportionate selection effect. 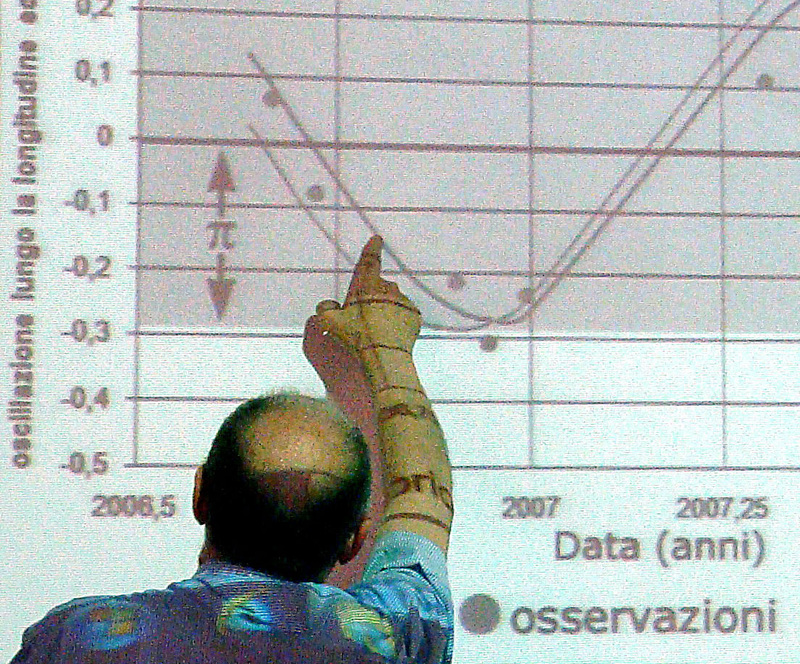 Thanks to Prof. Alberto Buzzoni, the University of Bologna gave permission to use its telescope at Loiano to conduct research on some red stars visible from August to December 2011. The following list of the selected stars is the very same as sent to Ms Silvia Galleti, who was to capture the first images with the telescope. A second list was then sent for another set of images, three months later, of the same stars (at meridian at about h 19:00 UT). 1. 61 Cyg (a), 61 Cyg (b) and Kruger 60 have been used for verification purposes. M = -6.00 for the first two stars and the value M = -8.00 for the other two with negative parallaxes (the multiple star formed by HIP 113414 and HIP 113420), so as to make it possible to show them in the H-R diagram. 3. From the calculations done, the three underlined stars HIP 101978, HIP 104763 and HIP 107076 turn out to be closer to the Sun than aCentauri as they have parallax angles > 750 mas. Of course, those stars must be carefully studied in order to verify this preliminary result. 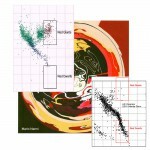 magnitude than the parallax angles of the stars of the Hipparcos Catalogue, while for the five stars of the Tycho Catalogue they are nearly all @ > by one order. The questions that arise and a possible explanation are dealt with at the end of Part I. But I wish to make clear that “if” the star distances are proved to be in the average ten times or more shorter than those given in the official catalogues “then” the star density of this part of our galaxy must be at least a thousand times greater than believed till now. 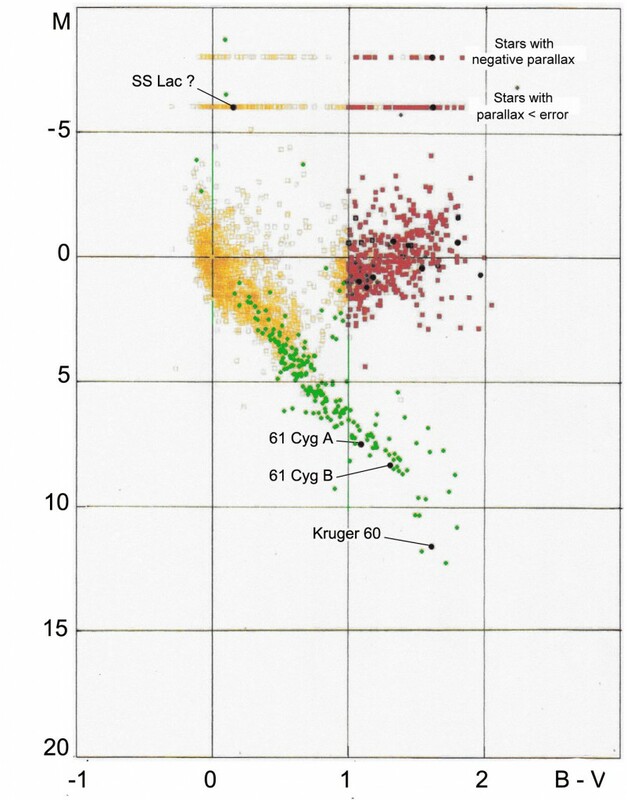 The Hertzsprung-Russell diagram on the following page (Figure 6) shows the results of the research conducted at Loiano Observatory. The positions of the ten stars under observation (nine Red and one White, SS Lac 108981) are astoundingly different from the positions given in the catalogue. 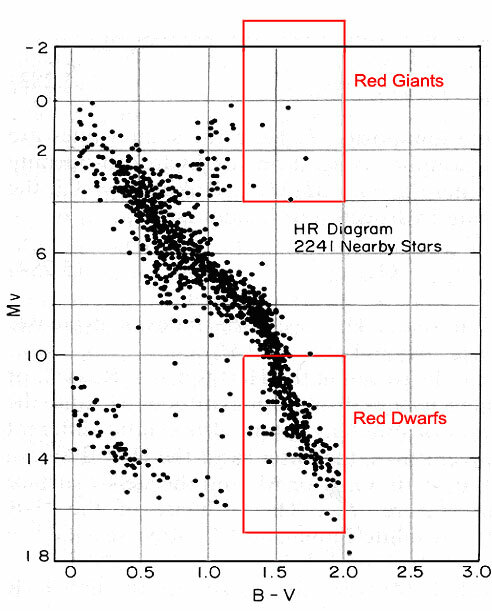 The above H-R diagram shows that the stars given as Red Giants in the Hip-parcos Catalogue are Red Dwarfs according to these measurements. Also SS Lac 108981 is a White Dwarf, not a Giant. 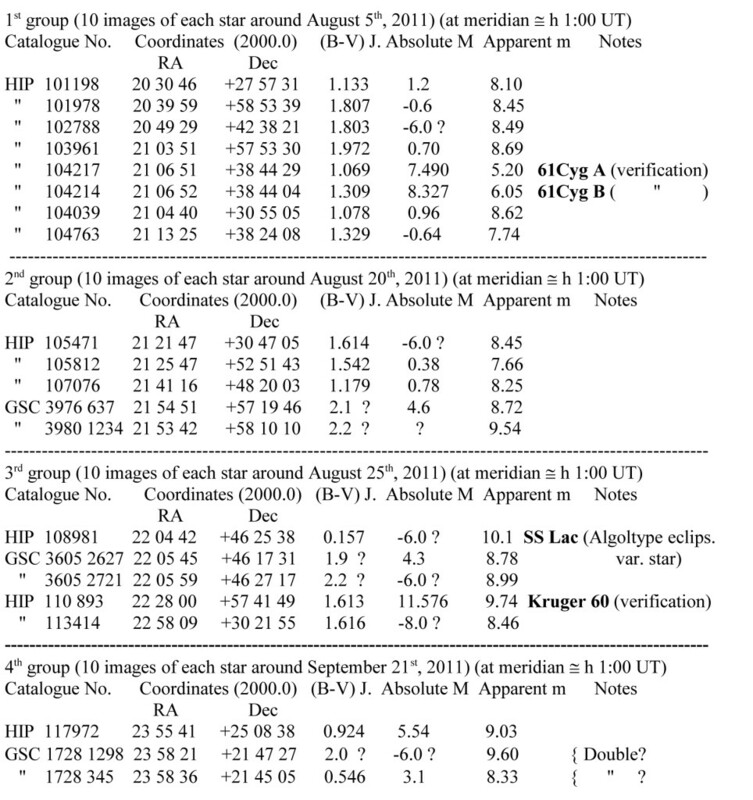 The following table draws up a list of some Dwarfs of the northern hemisphere (except for one) whose distances, as measured by Observatory 610 in the period 2008-2011, are shorter than 6 ly. 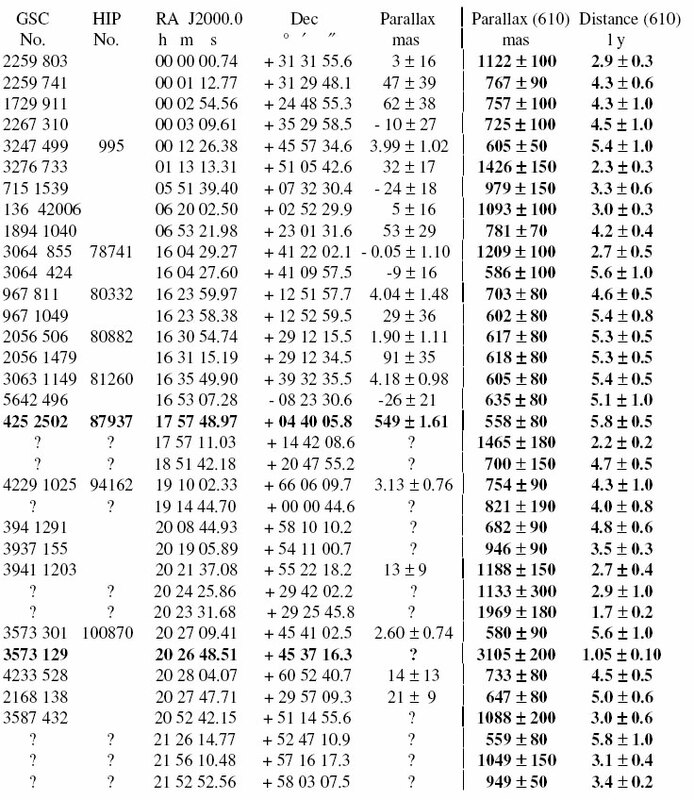 Observe that only in the case of Barnard’s Star (GSC 425 2502 in bold type) the parallax angle of the official catalogues coincides with that of Observatory 610. Moreover, the second star in bold type (GSC 3573 129), one of the stars whose parallax angles had not yet been measured by anyone, stands out with a distance from the Sun of (1.05  0.10) light years. The last measurement, if confirmed by other observatories, makes us think that GSC 3573 129 must be a companion of our Sun. Vittorio B. Goretti graduated in Physics from Bologna University in 1965. Besides working as a teacher in secondary education, he devoted his time to research work on asteroids over a period of 25 years. He worked at S. Vittore Observatory in Bologna and, for a while, at Asiago Observatory. 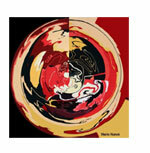 Since 1995 his research work has continued from his private Observatory 610 at Pianoro. His research effort resulted in measurements for thousands of asteroids, among which a great number of NEA (Near Earth Asteroids). He discovered over 32 new asteroids. He is currently focusing on stars near the Sun employing the Trigonometric Parallax method. my friend Barbara Drews Spadolini for the translation into English and the page layout.